We, like many others, were excited when Pandora updated their archaic logo in October. Their move from a stale, rigid serif monogram to a simplified silhouette that allowed for infinite possibilities to play was exciting, and we were thrilled. Recently, however, a point of contention has surfaced: the blue gradient and monogram sans-serif ‘P’ identity already has a place in public awareness, and PayPal is eager to reclaim the full extent of that impact. PayPal is suing Pandora for allegedly knocking off its logo to confuse people intentionally, in order to ride PayPal’s popularity to deal with “serious commercial challenges that threaten its very survival.” This is a type of trademark dilution called blurring, a legal definition by which a famous trademark can sue anyone using a logo similar enough to cause confusion, thus diluting their impact and affecting their business. In this case, because PayPal is a famous trademark which can prove, through public posts such as the one above, that the confusion is hurting their business, PayPal is asking the court to order Pandora to stop using their logo and pay damages. 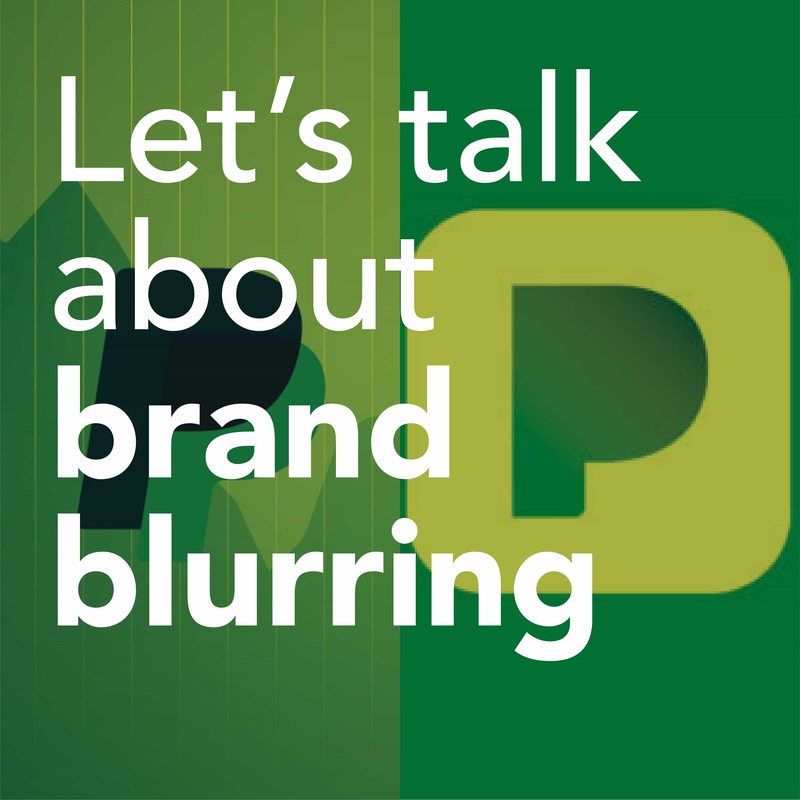 While only famous brands who can provide evidence that their business is being affected by trademark dilution are protected legally, brand blurring can happen at any level– and is often the result of poor design. Some design tropes and outdated trends appear over and over, causing brands to be lost in a sea of ovals and swooshes. 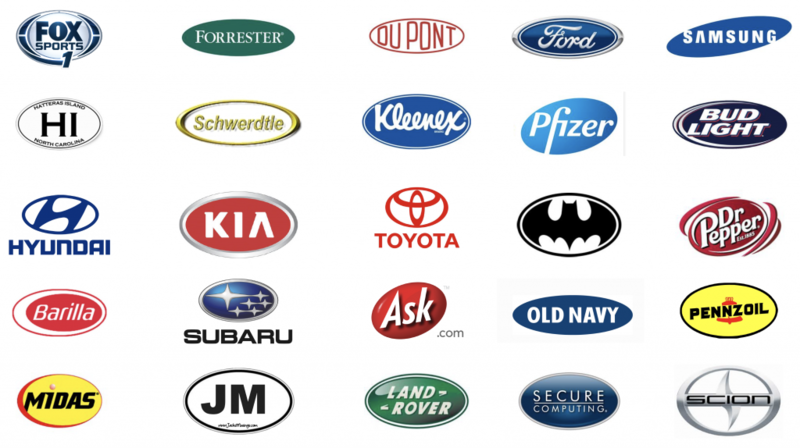 Is your branding diluting your impact? Let’s talk.